Cameras Downunder Gallery - Leica Cameras & Leica Copies/Canon II-B. photo 2. Canon IIB. 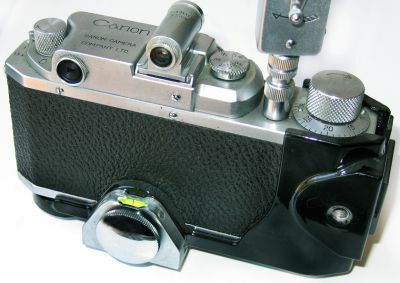 C.R.Finder 35mm camera, this is the first 3-way magnification control of combined rangefinder-viewfinder operated by 2-peace lever, under the rewind knob. made by Canon Co. Japan ca. 1949.